I always knew I would love Don Quixote because of the amusing and surreal bits and pieces that had been mentioned to me over the years. Because of the length and comittment to the cause required by the novel I knew I had to find the right time. So, a holiday in Spain seemed to be perfect, and it was, as I did want to be completely focused and consumed by the world of Quixote and Panza in the sun and heat of Spanish lands. The novel is split into two parts each were published a decade apart. The second part is more controlled (if controlled is the right word) and the writing seems better and smoother. Again it is difficult to really assess this in translation. The first part jumps all over the place and has several stories within stories and is less about Panza and Quixote than part two. In the first, anything can happen, and the two characters frequently overstep the line due to their madness and sanity which they possess in equal measure. Panza has a different type of madness which seems to grow as the novel progresses – maybe due to the association with Quixote. I can see why people have been entranced by the book since 1605 when part one was written. The humour transcends the centuries and cultures. The world of Cervantes is alien to us in the way that the world of the Knights Errant is ridiculous to the readers of Cervantes day. Then and now readers are drawn into Quixote’s world and marvel and his madness and intelligence, and Panza’s proverbs. The second book I liked less because everyone knows about Quixote due to the first part being published and authored by Cede Hamete Benegeli – so meta-fiction very definitely meets knight errantry. Also, the extended period at the Duke and Duchesses residence is not very exciting – after this however it picks up and there is a return to form. The characters seem a little more typecast too: Cervantes may have promoted the elements of the novel that his audience liked from part one and focused on these. There are far more Panzaian proverbs and there are no separate stories within the story of part two as he was criticised after the first volume for distracting the reader with these. In my opinion, the edges, and the fact you have absolutely no idea what is going to happen next does give part one the sharpness and steel that part two lacks. 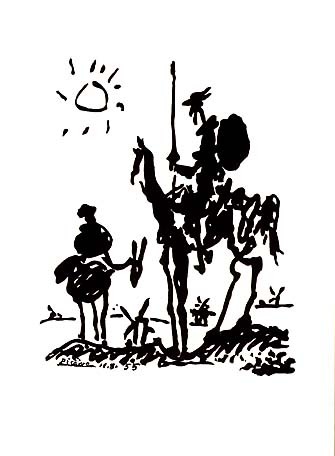 Having said this, in totality there is nothing I have ever read quite like Don Quixote. All other modern picaresque fantasies are just shoots from the tree grown by Cervantes. Part one is an absolute masterwork. There are some fantastic turns of phrase and nearly every sentence is loaded and perfectly formed. I must say I loved some of Panza’s proverbs. 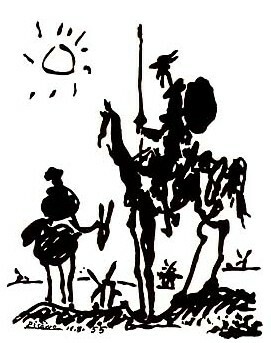 We should all pick our time when we begin our journey with Don Quixote, mine took five weeks and I can see that I will be returning for shorter skirmishes with rereads of certain episodes. “May God hear and sin be deaf,” said Sancho. Note: translation is important and Edith Grossman’s translation is excellent. The footnotes are thorough too. 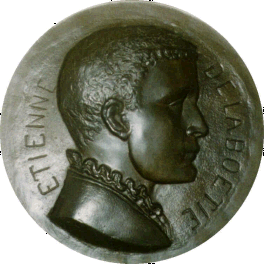 By Étienne de la Boétie. So, basically, he states that those tyrants in power are there by virtue of the support of the people. If this support is withdrawn non-violently then they will be defeated. The Discourse On Voluntary Servitude is an interesting and thought provoking read as de la Boétie ponders the vagaries of the central premise. You can find it in the public domain – take a look.